Apply to be a 2019 Colonel Crew Leader! The mission of Student Life & First-Year Experience is to enhance the quality of life of Eastern Kentucky University students by supporting the University's commitment to the academic success and holistic development of every Colonel. Our goal is to foster intellectual, physical, and social development through programs and direct services which challenge and support students as they develop attitudes, abilities, and skills for life-long learning within an ever-changing global environment. Exciting programs and events are offered to students across campus from many different departments, organizations, and student groups. Student Life & First-Year Experience offers monthly programming to foster school spirit, encourage student involvement, and build student leaders. See the EKU Life app for Android and iOS or the right column of this page to learn more about our upcoming events! 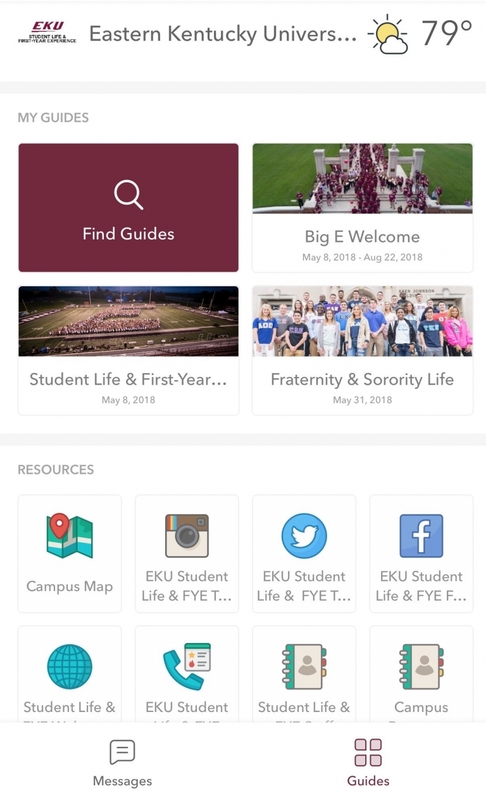 You can learn more about the EKU Life App by clicking HERE.